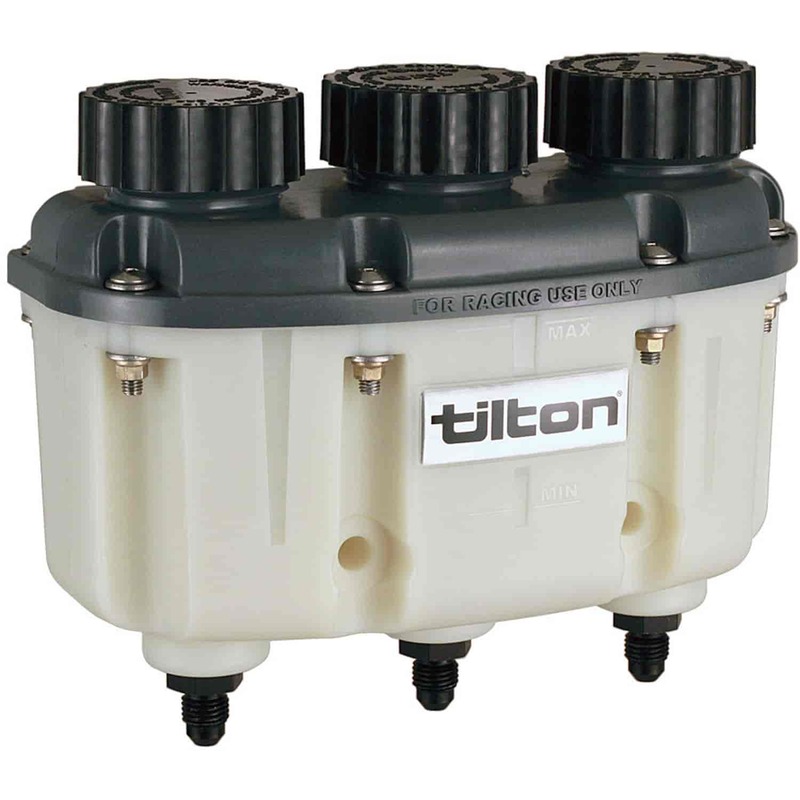 Tilton's Three Chamber plastic reservoir is value-packed, incorporating many features found in the billet aluminum version at a price that meets most budgets. There is no longer a reason to use three separate plastic reservoirs, this reservoir combines the three into one convenient package. Separate internal reservoirs allow for complete evacuation of one without affecting the remaining two. Gasket-sealed removable lid allows for easy cleaning. Reservoir lid incorporates screens to prevent foreign objects (nuts, bolts, etc.) from falling into reservoir. Leak-proof baffle design ensures that fluid remains in reservoir. Convenient fluid level indicator windows. 2-hole mount provides simple installation onto firewall/bulkhead. PTFE, EPDM or SBR hose must be used. Tilton 74-214 - Remote Master Cylinder Hose 24"